Leading tile supplier Solus Ceramics has launched a new provocative and experimental range of patterned tiles. 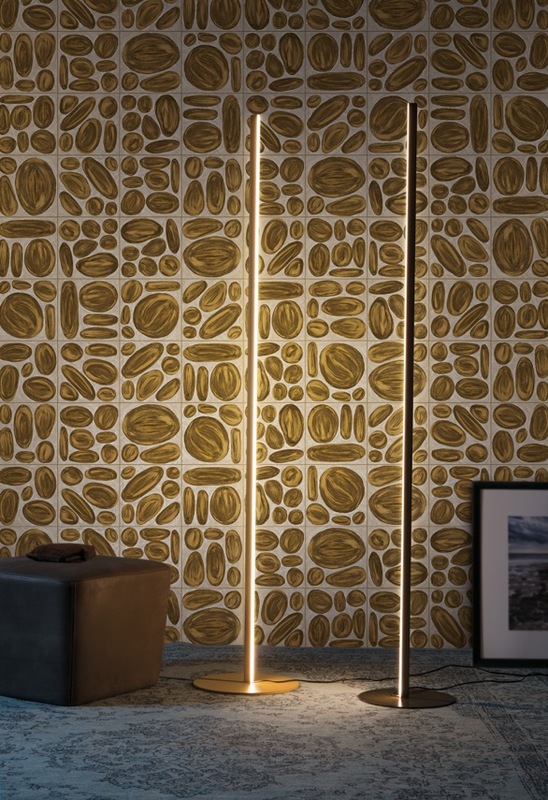 The new range, Elliptical, is a dramatic and divisive range that is particularly inspired by ornamental artwork, abstract creativity and experimentation. Featuring ‘orb-like’ elliptical shades, the tiles in this range possess an ethereal aesthetic that is only emphasised by the hand painted quality of the patterns. Truly capturing the artisan spirit, the new tiles feature evocative brushstrokes and carefully crafted tonal flourishes, conjuring the illusion that each piece is a unique and original canvas. Available in five colours, including a rich and trendy mustard, an emerald green and a warm grey, users can consider two versions of each tile: one that features coloured orbs or a ‘negative’ option, which reverses the background tone and the core colour. All of the tiles in the range can be selected in either 600x600mm or 200x200mm sizes. The 600x600mm tiles come in three different variations of the fluid ‘pebble’ pattern, whilst the 200x200mm tiles come in nine different variations. The 600×600 format tiles will be available in a random mix of three different patterns, which means that every project will have a unique layout depending on how the tiles are arranged and fitted.